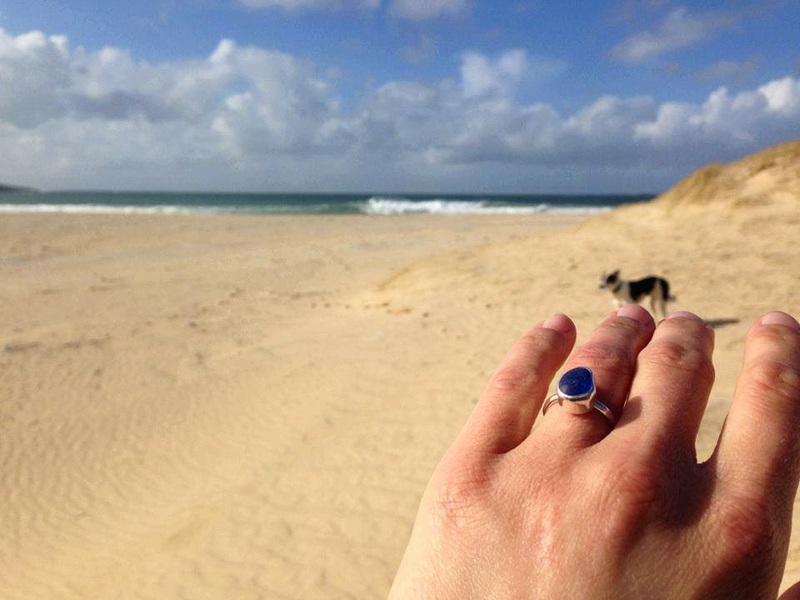 ... from a lady whose partner had secretly commissioned me to make an ethical blue sea glass engagement ring for her. He really wanted blue to echo her love of surfing and painting the sea. When we went to look for some blue, a rare colour round these parts, I stepped onto the shore and declared loudly 'Come on beach, this is for LOVE!' Laughing, I took one more step further and this piece was right at my toes, perfect!